Home 2014 February Not just our universe but a multiverse? 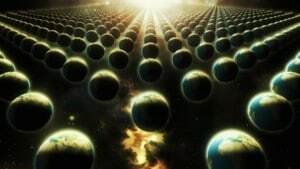 Here is a very interesting article that very nicely explains how, with our new understanding of quantum physics, the big bang occurred and it relates to an ever expanding multiverse. Whether this articles explanation is entirely accurate or not it does seem to be the general new understanding of the universe we live in. Now that we’re taking the blinders of newtonian physics off we are finally able to truly see the world we live in. More importantly we can think beyond what can be seen and touched.